We are living in a modern world where the modes of communication have seen tremendous changes. The growing internet technology has transformed the way how we communicate with our friends, relatives, customers, clients and business partners. Today, every one of us owns a free email account from leading email service providers. We are even using these email services for various areas such as personal use, companies, blogging and many more. As many individuals and entrepreneurs have begun to depend on email services, many free email service providers have come into the play, where most of them are hosted and few are self-hosted. Hosted Email Services (Free): Hosted email services are free to use, need nothing to start, just signup and email is yours. Like Gmail, Outlook and Yahoo Mail. Self-hosted Email Services (Paid): First of all, self-hosted email services are not free. It come with a cost and sometimes need some technological knowledge too. It’s like setting up an own server and install any mailing software and boom… play with your own services. 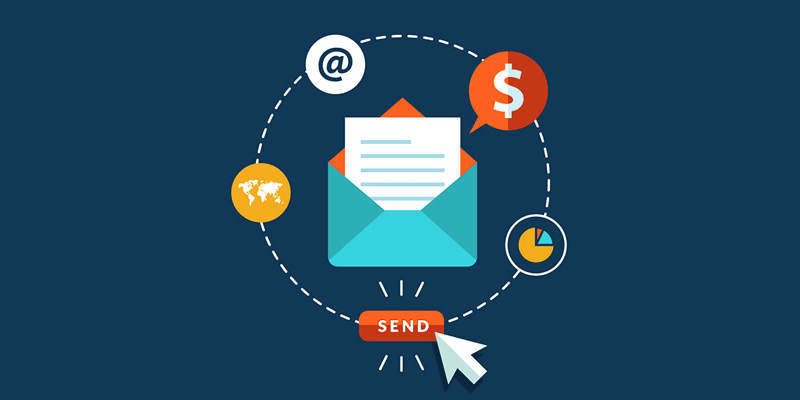 As self-hosted email services cost much money and resources, free email services can be used. However, the increase in the number of service providers has made it a daunting task to choose the right one. In order to make it easier for the people to choose the right service provider, we have come up with a list of top 10 free email service providers. The features such as security, anti-spam features, speed, storage space, productivity and apps of the email service providers are taken into consideration to prepare a list of fast, reliable and secured email service providers. Gmail offers 15 GB of free storage to the users. This free storage can be used for Google Plus photos and Google Drive. So, you have plenty of storage space to store any kind of files as per your requirement. Apart from storage, Gmail has also come up with the best security features and so, the users need not worry about the security of their personal data. The security features of Gmail include protection against phishing, malware and HTTPs. It also comes with two step authentication feature and anti-spam shield. Gmail even comes with productivity features. It is integrated with Google Drive and so, you can attach files up to 10 GB. The emails are optimized in four tabs such as Social, Promotion, Primary and Update. It facilitates both IMAP and POP. Gmail also lets you to send money but is limited to specific countries now. It also offers apps for Android and iOS mobiles. Outlook is integrated with Microsoft Office. So, you can easily view or create office files in the email dashboard. Outlook users can also enjoy better protection against spam and virus as it has integrated virus scanning and spam filtering features. You can also enjoy unlimited storage, which is one of the amazing features of Outlook. While Gmail offers 15 GB of storage, Outlook offers unlimited storage. DMARD is also integrated which ensures better security. IMAP, EAS and POP3 are also supported by Microsoft Outlook. As social media is integrated with Microsoft Outlook, you can chat with your friends using this email service. This is global email program available on the web, mobile devices and Windows 8 with unlimited storage, social networking, SMS texting and instant messaging. It will definitely be enjoyable for the individuals to use the best email services offered by Yahoo! Mail. Here are the features of Yahoo! Mail. Yahoo! Mail is known to integrate email, social networking, instant messaging, SMS text messaging. Yahoo! Mail offers free accounts with 1 TB of online storage at Ymail.com, rocketmail.com and yahoo.com. The users can access to Yahoo! Mail on the web through IMAP and POP. It is also possible to forward mails to another email address. Yahoo! Mail comes with an excellent feature that lets you to collect junk emails in the Spam folder. You can also report the unwanted emails missed by the filter. Around 200 files can be filtered from the incoming emails. It also provides you with the facility of blocking instant messaging contacts and email addresses. Drag and drop features, tabs, keyboard short cuts, auto completion of address and other features are included in Yahoo! Mail. The users of Yahoo! Mail offers web based powerful applications for iPhone and Android. AOL is also called as America Online. Once it was the king of the World Wide Web but, still it remains to be one of the free email services. Let us have a look at the features of AOL email service. The most impressive feature of AOL Mail is the unlimited storage capacity. You will never have to worry about keeping emails stored in the inbox. You can attach documents of 25 MB, which is certainly a pretty feature of this free email service. AOL Mail comes with Span filter in different versions such as Off, high, medium and low. It is recommended to keep the filter at Medium level. With AOL’s security suite, you can protect your account from emails. You can also enjoy parental controls, spyware protection, parental controls, pop up controls and AOL’s firewall. With AOL, you can choose your preferred domain name and can invite around 100 friends to remain as the part of the domain. Zoho Mail is highly beneficial for businesses as it comes with a lot of features which are aimed at entrepreneurs. While most of the services are paid, Zoho Mail offers excellent email service for personal use. In order to find the free email account for personal use, you need to spend some time to surf through the pages. Moreover, you will be directed towards creating a business account. Once you have signed up with this free email service provider, you can enjoy myriad of features and they are as follows. Once you log into your Zoho Mail address, you will be finding a clean and nice interface. One of the beneficial features about Zoho Mail address is that there are no advertisements. This is really uncommon in the arena of free email accounts but it is really an attractive characteristic. Zoho Mail is all about simple and plain email services. With a simple and intuitive interface, Zoho Mail includes many other features such as contacts, calendar, notes, tasks, links and many more. Zoho Mail comes with 5 GB of Email storage. Though it is not much, you need not have to worry about deleting the emails every now and then to get some space in the inbox. Mail.com can filter phishers and spammers and also makes a valuable effort to prevent unwanted emails from reaching the inbox. Even though the filters are not effective, they are good enough and let you to customize the filters to organize incoming mail. When you sign up for an email address, you can choose from 200 domains that permit you to create a unique email address. Mail.com gives you the ability of drawing messages from other email services and this feature is called as mail collector. This feature is beneficial for those people with multiple email address. You can send emails through proxy for other email accounts as well. Yandex Mail is one among the free email service providers and is governed by a Russian Internet company. The account holders can enjoy myriad of features integrated with Yandex Mail. Around 12 million emails are processed every day by this email service provider. Yandex offers unlimited storage space. Once you have signed up with this email service, you will get an inbox with 10 GB storage space. You will get additional 1 GB if your remaining space is less than 200 MB. 30 MB of files can be attached with an email. If you upload files exceeding the limit, the recipient will get a download link. However, maximum file size that can be uploaded to this email service is around 2 GB. Yandex includes built-in antivirus software called Dr. Web that could screen and block incoming infected spams and viruses through Spamoborona technology. You can also get benefitted from the add-ons such as theme options and e-cards. There are also more than 30 themes to choose from. Inbox.com is one of the best email services that hit the market with a number of tools and features. This service includes user friendly, intuitive interface with many crucial features optimal for the modern user. Inbox.com provides 5 GB of email storage which is more than enough to store incoming emails with attachments. So, you can stay away from deleting emails every now and then. Inbox.com also has a huge number of additional features such as games, custom themes, screen saver, downloads, e-cards and many more. The security features of inbox.com provide five levels of Spam protection. You can block HTML images, receive messages from the white list, optimize spam messages separately and get them deleted. Inbox.com allows you to create custom folders using sorting options and specific filters. It also lets you to sort incoming emails by various fields such as from, to, body, attachments and subject. When you download and install Inbox.com toolbar, you will get alerts on receiving new mail. GMX is another email service provider in the top 10 category. Being one of the Top Email Services, it lets you to meet all your basic needs without any complements with the quality and features. This free email service includes message composition, organizers, contacts and many other features and even function properly. GMX is integrated with Facebook and so, you can pull all the contact data from the Facebook. GMX complies the email address of your friends which are listed publicly on the facebook. GMX offers unlimited storage space in your inbox. So, you will never run out of space for storing incoming emails. As GMX makes use of SSL encrypted technology, you can make sure that all your emails are secure and protected. iCloud is one among the best free email service providers with ample storage, functional web application and IMAP access. The users of iCloud Mail services can take advantage of tools for organizing mail. However, it does not support sending emails or accessing to other email accounts. iCloud offers free email accounts with 5 GB of storage and can be shared with documents, calendars and backups. If you want more storage space, you can purchase it. You can create new account using iOS and OS X.
iCloud Mail can be accessed through IMAP and is quite easier to set up in iPhone, iPad Mail, OS X Mail, etc. iCloud also works on many other email programs. The web interface of iCloud Mail at iCloud.com is same as that of a desktop application and can be used with dragging, dropping and swift keyboard shortcuts. Filters are available for sorting out messages to folders automatically based on the simple criteria. Even messages can also be automatically deleted or forwarded to any other email address. These are the top 10 free email service providers. When you compare the features, you will enjoy the same level of services by signing up with any email service provider. Nice and unique details bro. You missed something: Yandex has support problem? Send them feedback and you’ll get an answer how to solve the problem. Try to get support from the other email providers. HA! According to me, you will get the same support from most service providers. Google has no direct contact support, even Yahoo, and Outlook on the same path. You need to mail them to get support dedicatedly. Inbox.com is now only for paying users. Thanks for your feedback Tom. Would someone on this site be able to answer this ONE question for me: I am leaving Yahoo because Yahoo and AOL are forcing me sign OATH. If I do not, I will have no access to my email account. I don’t want BIG BROTHER in my business. Any thoughts as to what other free email I can use? Thank you! Since you have already a list of top 10 free email services; Gmail and Outlook both are superior and dominated the market. Zoho Mail is another free option if you want owned domain based email but with limitations.